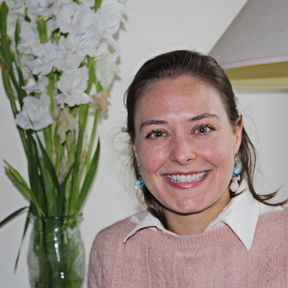 Brooke Shaffner received her MFA in creative writing from Columbia University, where she was a Dean’s Fellow. Her memoir, Between That Body and This One, is represented by Sterling Lord Literistic, Inc.; and she is at work on a novel, Borderlands. Her writing has been published in The Hudson Review and Lost and Found: Stories from New York. She recently wrote about the novel-in-prose-poems, Madeleine is Sleeping,for The Lit Pub and interviewed artist and urban explorer Julia Solis for BOMBlog. She has been awarded fellowships from the MacDowell Colony, the Ucross Foundation, the Saltonstall Foundation, the Edward Albee Foundation, the Jentel Foundation, the I-Park Foundation, and VCCA France, among others. Brooke has taught writing at Rutgers University, The Sackett Street Writers’ Workshop, Northwestern University’sCenter for Talent Development, and Athens Academy; and has led college application essay workshops through College Strategies: Practical Skills for Powerful Results. She has written ELA curricula for Pittsburgh, Chicago, Lynwood, and Clayton County public high schools. Five years ago, she left a cubicle on the 22nd floor of a skyscraper in the financial district and has since tried to cultivate a balance between discipline and spontaneity. She lives in Brooklyn and some of her best ideas come to her in motion—while running, biking, or urban exploring.